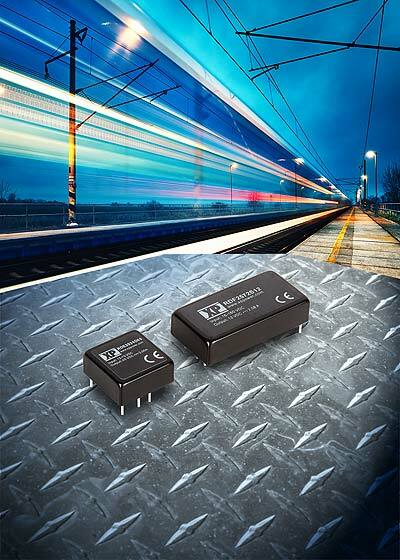 Certified to EN50155 and EN50121-3-2, the converters carry the all-important safety approvals and EMC requirements for railway applications. Further, designed to EN45545-2 they meet the relevant fire protection standards. Using a small number of external filtering components, these XP Power devices offer a very high-power density compared to other products that meet these industry standards. This high-power density makes them eminently suitable for space constrained applications, particularly the RDE20 that boasts a tiny 1 inch x 1 inch footprint package size.